Your kitchen counters don’t have to be boring. They do have to reflect your own personal style though. Don’t get thrown off your game by the latest and greatest trends. Have you been reading everywhere that the 70’s are back and next year avacado-green is going to be all the rage again? You might be tempted by the shiny, pretty, touched-up photos of avocado colored countertops in the Soho loft you’ve been reading about in architectural digest. But, trust us, you’re probably not going to be thrilled with how it turns out in your own home. Plus the guys in the Soho loft really are made of money. Their countertops will probably be canary yellow by next season. We’re all for practicality, but you don’t have to sacrifice beauty for durability. Just because you’ve got teenagers, and all of their teenage friends, tromping in and out of your kitchen all day long, spilling, smearing, and smudging everything imaginable on your countertops, doesn’t mean that you have to settle for something you don’t want. Quartz, for example, is crazy durable. And you probably can’t think of a color that you can’t find it in. We’d love to show you some ideas. Man made, solid-surface materials have come a long way. The Corian of the 1990’s has not always aged well. But the new products that have come on the market, from multiple manufacturers, are quite remarkable. And, we can’t forget granite. It is beautiful, and timeless, and can take just about anything your family can throw at it. But you can make a little go a long way these days. 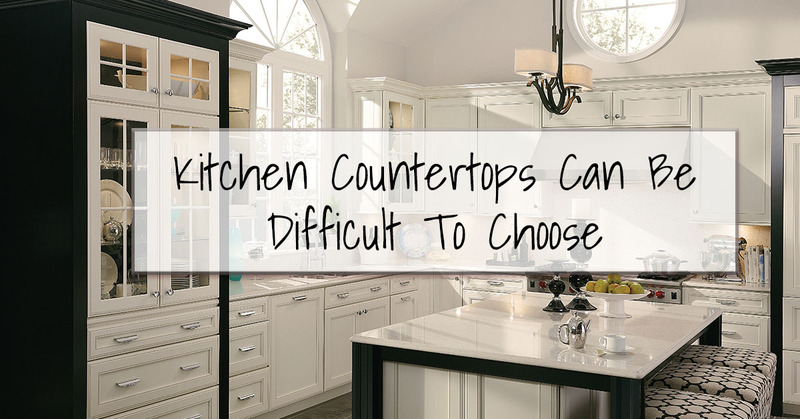 Consider mixing a beautiful, and pricey, marble countertop on your island with a more simple flat-surface in a contrasting color on the rest of your countertops. It’ll look amazing. If all else fails go neutral. There’s nothing wrong with neutral colors. You can add slashes of color with art, paint, and other accessories. And, you can swap those things out whenever you get tired of them. That’s going to be a lot harder to do with those avocado green countertops. 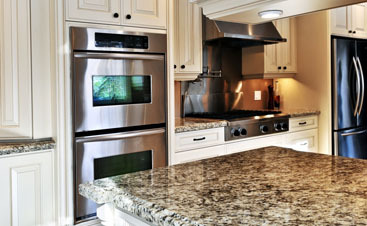 Some countertops are virtually maintenance free. They require nothing other than a good sponging off on a regular basis. 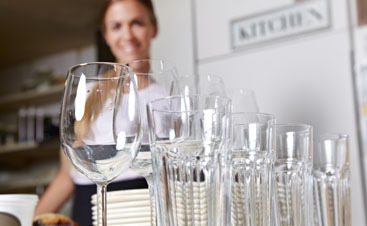 Others need to be sealed, polished and otherwise maintained on an annual basis. Weigh the pros and cons. Okay. That’s all we’ve got for today. 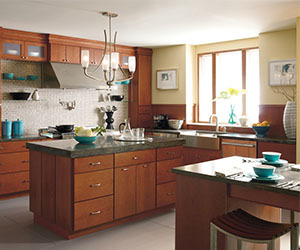 Think about all of that between now and when you come in to see us about your new kitchen. 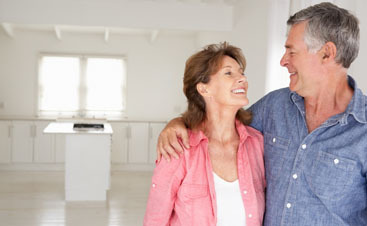 Call and schedule a consultation today. We look forward to hearing your ideas!